If your child has or is being teased, the following is an effective evidence-based technique that I first learned about from an award-winning Teacher of Excellence recipient Educational Consultant, and NJ State Teacher Representative Cherab’s Vice President Cheryl Bennett Johnson SLS MA. I first used this successfully for my own children if there were any issues with bullying at school, and now use the same method on a community level with the highly effective Cherab Foundation initiative crowdFunnit throwing community birthday parties for special needs children to foster acceptance and compassion for those children that believe the world doesn’t like them, and need a little help making friends. Children on the neurological spectrum may be ignored, or bullied by peers because of their differences, and due to this, they may behave inappropriately because they experience anxiety or even depression from being friendless. 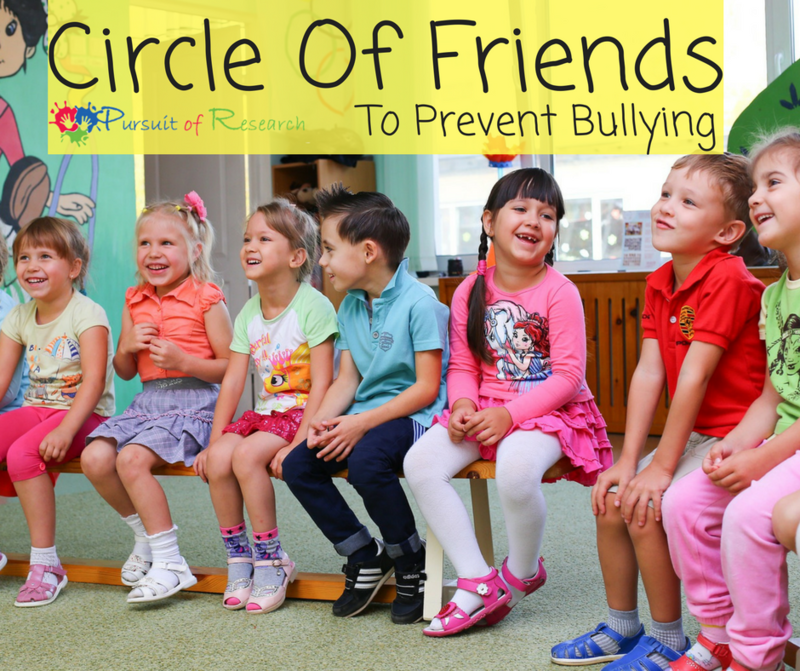 The ‘circle of friends’ approach, sometimes known as the friendship circle, or circle of support, is a powerful tool for inclusion involving children sitting in a circle with their teacher using method-specific techniques and strategies to promote self-esteem, foster acceptance and compassion, reduce bullying and alienation while fostering positive classroom relationships. It is supported by theories of self-esteem, emotional intelligence, and voice and participation theory, some that date back to the early 1900s. The ‘circle of friends’ approach (Forest et al, 1993: Newton and Wilson 1999; Taylor 1996, 1997) offers a structured intervention based on the belief that a person’s judgments about their behavior and that of others can be influenced by the social situation. The intervention uses small-group sessions to give one specific child positive attention to help them interpret and respond to their environment and social situations with understanding. The theoretical underpinnings for the many and varied traditional circle time sessions and small-group approaches are far-reaching and may well cite links to a person-centred counselling approach (Mead 1934; Rogers 1961, 1970); social learning theory (Bandura 1977); the circle of friends intervention approach (Newton and Wilson 1999; Taylor 1996, 1997); emotional literacy programmes (Morris and Casey 2005; Morris and Morris 2002); behavioural approached (Cooper, Smith and Upton 1994); and the eco-systemic approach Mosley 1993, 1996, 1998). The Circle of Friends group will also clearly have benefitted in terms of developing their own pro-social skills, empathy, ability to analyze others’ behavior and increased their awareness of the value and importance of including others in positive and meaningful relationships. As adults, we should never underestimate the latter. Circle of friends has been found highly effective. One case study provided a fascinating insight into how the behavior of a child, previously isolated, changed to such a degree that she became a valued and accepted member of the class. Although the wide support that circle‐time has gained has largely been in primary schools, it appears to be enjoying similar success elsewhere. Bullying is a form of youth violence. Students who experience bullying are at increased risk for depression, anxiety, sleep difficulties, and lower academic achievement (Center for Disease Control, 2017). A circle of friends is when you bring together all the children in the class. This would include your child of course. The discussion would be right in front of (your child) where (your child)’s speech disorder would be talked about, as well as how frustrating it is to communicate and how painful it is to be teased about it, etc. (your child) can add to the conversation if he wants, and everyone shares and learns. Cheryl says it works so well that then the children in the circle of friends go out of their way to protect and watch over and translate for the child with the communication problem. Don’t just stick to the school either -do this with neighborhood children too. So how did I address the teasing when my son Tanner was teased in kindergarten? By this time -all the children were surrounding Tanner and putting their hands around him hugging him. We then went around the room and each child talked about something that they had trouble doing at first -and did anyone ever laugh at them while they were learning. All the children brought up something that they had to learn -and some talked about how someone laughed at them when they fell off the bike, etc. However, when we got to the little boy that had teased Tanner he could not think of anything that he didn’t know how to do – he was the only one. The teacher said “Oh come on ____ when you were a little tiny baby you didn’t know how to skateboard now, did you? You had to learn that.” He agreed. 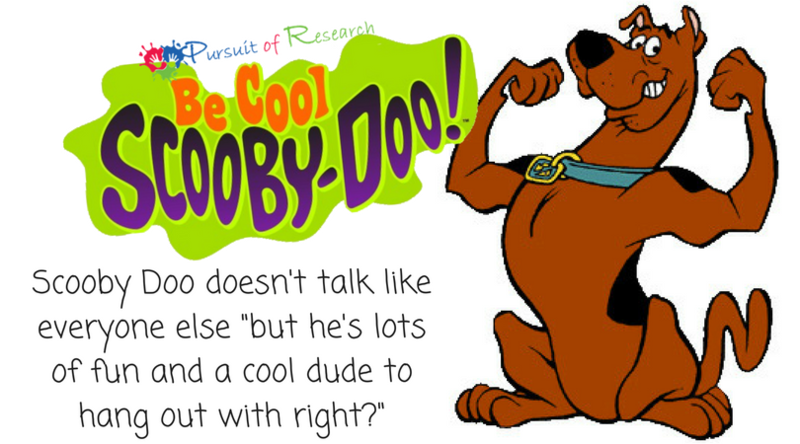 I then talked about all the things that Tanner is really good at, and that “just like Scooby” Tanner may not talk like everyone else -but that doesn’t mean he’s not a cool dude to hang out with. I then walked out to the hallway and got a bag of Scooby Doo party favor type toys and said: “Scooby left these for all of you guys!” The above was quick – but huge wonderful impact. After that day -there was never teasing again -and even the one kid that had teased Tanner was now hanging out with Tanner. There was an immediate improvement in Tanner’s speech and confidence. And…by the way, he then talked to me about what had happened and (finally) told me about how this little boy laughed when he talked. Even though the teacher said it was only for one week -I’m 100% convinced that she just was not aware of it prior -it apparently was going on 2 weeks prior. Perhaps it’s due to that experience early on that Tanner is never teased now. He knows how to handle it -it’s hard for a bully to tease someone who doesn’t get upset.